September 6 and 7 2014 are the beginning of a new era in Taos. The excitement and strength of the Cross-Fit community, and its many offshoots are coming to our town, in the form of Taos Mountain Warrior Fitness’ first community event, The Flex Your Chest Throwdown, the only prescription fitness event in New Mexico where the athletes are competing for a cause. 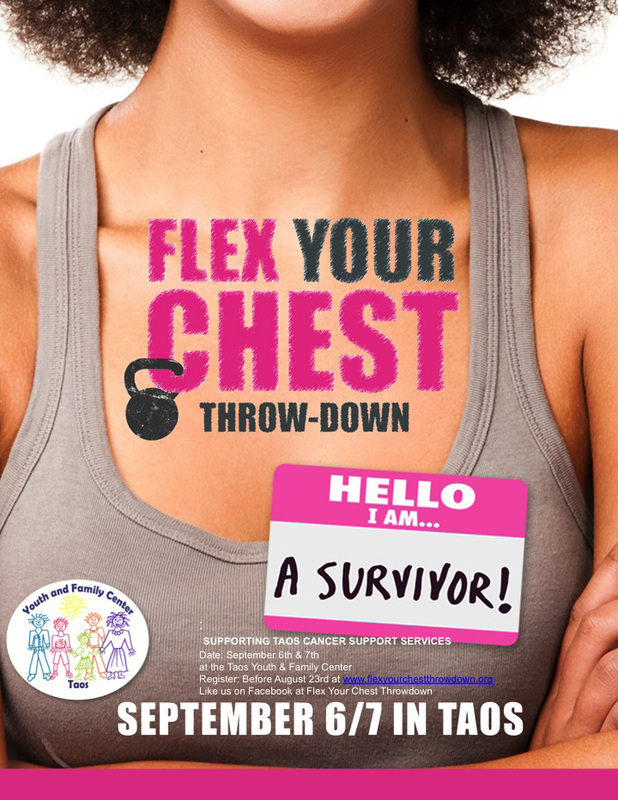 Proceeds from The Throwdown are being donated to Taos Cancer Support Services, assisting families and individuals in Taos County impacted by cancer with valuable non-medical services and support groups. Taos Mountain Warrior Fitness has partnered with Taos Health Systems and Taos Sports Alliance to present this unique and exciting event at The Taos Youth and Family Center, with relay and partner events taking place inside the rink with plenty of room for everyone to watch the event from the stands, enjoy healthy concessions, learn more about Cancer Support Services, and about how to get fit in Taos. There is no admission cost for the event – so the whole family can come check out our athletes! There is also still time to register for the event, volunteer to help with setup, day-of needs, and cleanup. Visit their site to find out more.